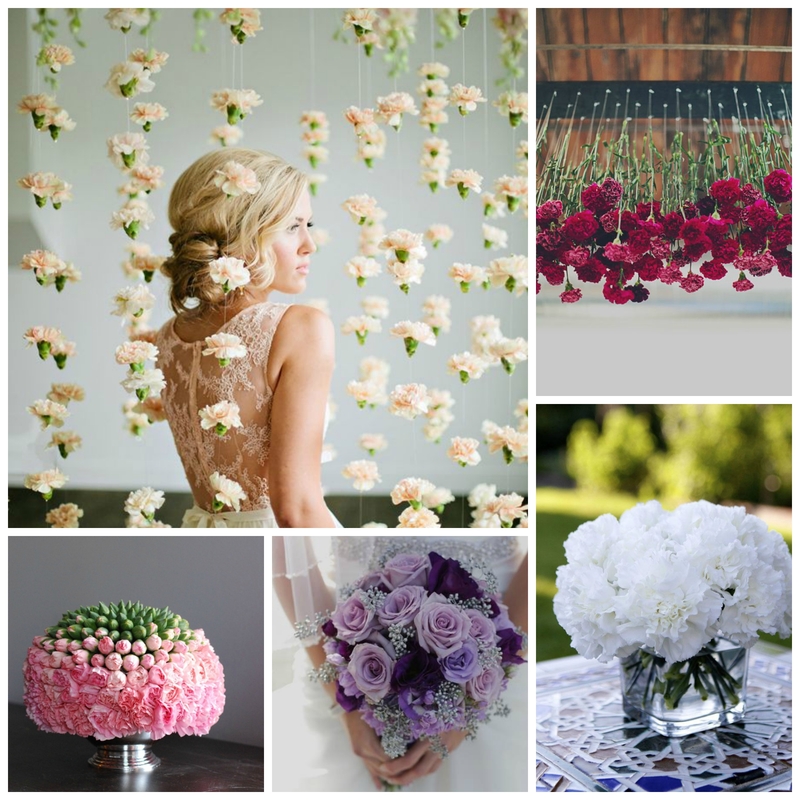 When it comes to choosing your wedding flowers it essentially comes down to three things. 3. What you can afford. The first two things are all about personal preference – but for budget, there is a way to make your money go further by selecting flowers that are in season. For this first Whisper & Blush Flower Guide, we have created mood-boards for Brides getting married in the next 6- 8 months (Jan – March) so you can take some inspiration to your florist. … People assume flowers will be hard to find in the Winter but January Brides are very lucky as they have their pick of stunning Hellebores (sometimes known as the Christmas or Lenten rose). 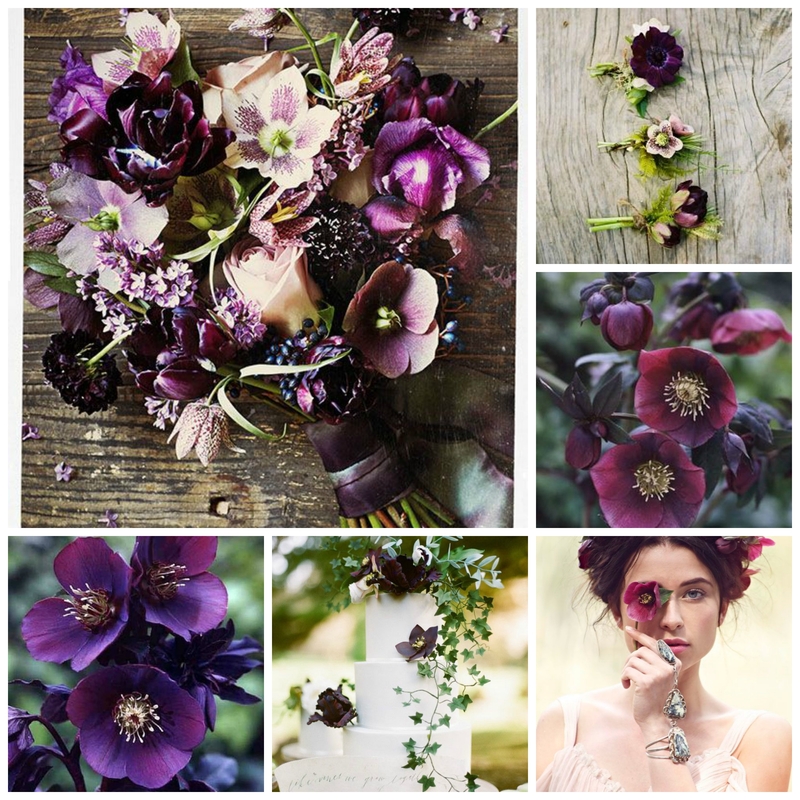 These flowers range in colour from pale pink, to deep burgundy reds. There are also varieties that are deep purple and almost black. This can make for a very dramatic floral arrangement which creates an impactful,”Gothic” feel (we’re thinking in a Vogue editorial stylised way rather than Halloween!) – a great contrast against a white/ivory wedding dress. …It’s all about the Carnation which, thanks to cheap buckets of the flowers for sale in petrol forecourts, is often mocked for it’s perceived “cheapness”. (Okay, so we’re not selling the idea?!….yet….) However this is one underrated flower and when used in ambudance, or used as a “filler” flower with other blooms, can be really stunning. The original flower was a pinky-purple colour, but now they have been developed to suit most tastes with red, white, yellow and green varieties. We love the idea of suspending them from the ceiling to create an amazing photo backdrop. With Spring due to spring, March Brides can select the Iris for their floral arrangements. They take their name from the Greek word for rainbow referring to the wide variety of colours that can be found, although most people recognise and love the purple and yellow flowers. Iris’s are also really popular garden flowers so could make for beautiful favours to give to your guest to take home and the shape of them make them perfect for the Grooms buttonholes. Posted in Lifestyle and tagged bouquets, Brides, buttonholes, carnations, February, floral arrangement, flowers, Hellebores, Ideas, iris, january, march, suspended flowers, Wedding, wedding bouquets, wedding flowers, winter flowers. Bookmark the permalink.